Give Your Pillar or Column the Look of Stone in Minutes! The pillars and columns located at the entry or around your home or business make a lasting first impression. However, all too often these statement pieces are left unimaginative and plain, but with our pillar panel kits you can improve the curb appeal of your home or business in minutes. This 4 piece system also works great to wrap 8x8 posts on your deck. Simply attach railing connectors to the finished stone post and run your railing. GenStone pillar panel kits are available in 3 color options and 2 post cap styles. Depending on how your pillar terminates, you may want to use one of our pillar caps. These square accent pieces will give your pillar or column a professionally finished look and come in either a peaked or flat style. Click HERE for Post Cap Options. What exactly is the “faux” in faux stone? You may know that manufactured stone veneer panels are a cost-effective, environmentally friendly and easy-to-install alternative to natural or cast stone, but still wonder what exactly they are made from…and how durable that material is in the elements. GenStone faux stone veneer panels are made from 99.9% waterproof high-density plastic. More specifically, the material is a closed-cell polyurethane. “Closed-cell” means the material is very dense. This density provides greater insulation and also prevents moisture penetration, without adding bulk. A square foot of our manufactured faux stone siding only weighs one pound, which means adding it to your structure provides insulation and moisture protection but does not add significant weight to the frame like real stone. GenStone products are a very green alternative to both cheap plastic products and mining natural materials. 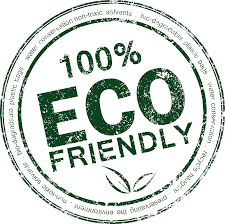 The materials used in production are inert and non-toxic. The Occupational Safety and Health Administration requires manufacturers to maintain Material Data Safety Sheets on many commonly used products, from window cleaning solutions to acid-based, corrosive compounds. GenStone products adhere to these requirements and also comply with Proposition 65 as implemented by the state of California, which was designed to eliminate exposure to toxic substances in consumer products.